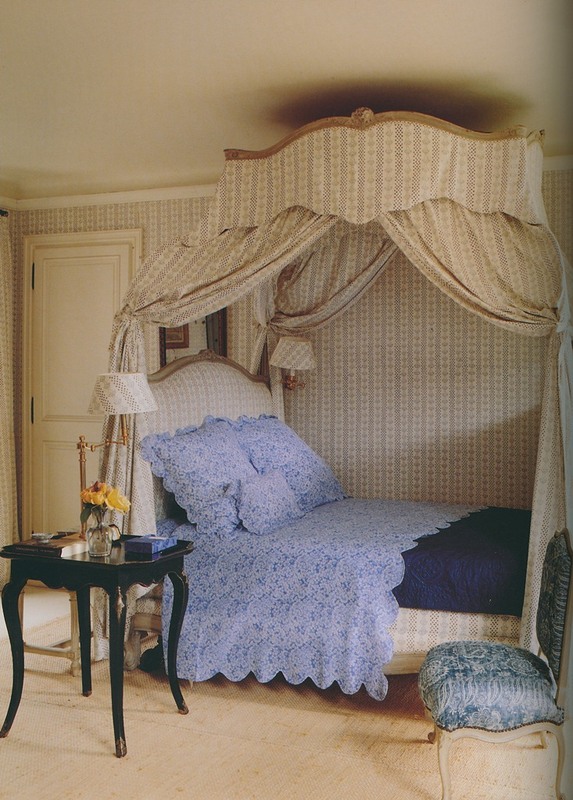 What strikes me most about this room's bed canopy is that while it's cosseting, it is not smothering and heavy like many festooned and draped beds can be. Givenchy's version is cool, casual, and comfortable thanks to the profusion of printed cotton, just the type of fabric one wants to lounge upon in the South of France. 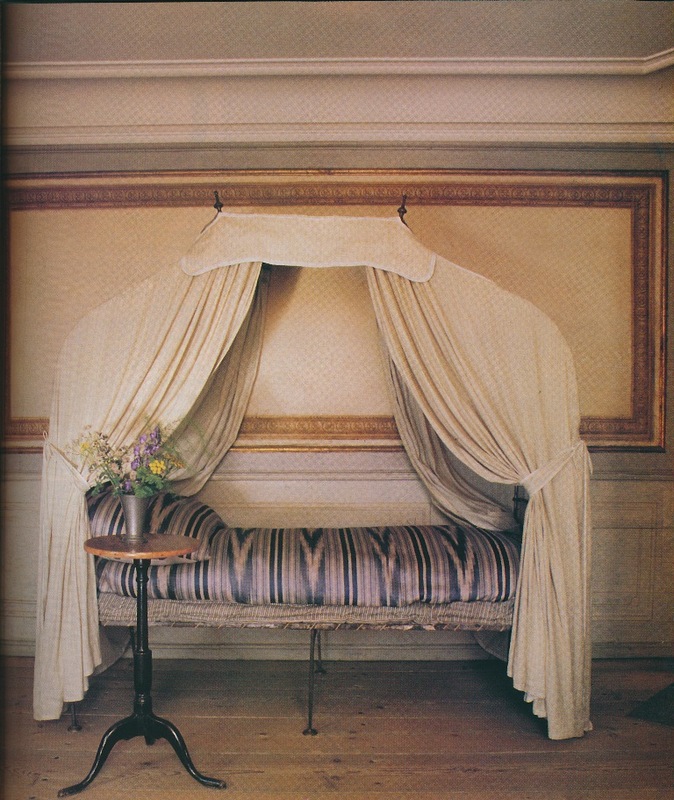 And I have to say that this whole ensemble would look just as smashing here in America, too, where a more casually-dressed canopy bed would be right at home in this country's more casually-dressed interiors. 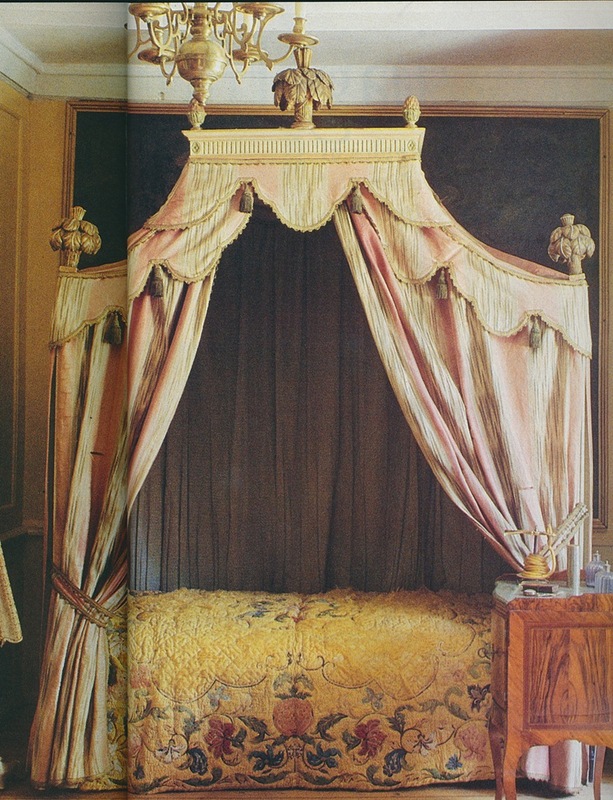 Although I have yet to find another canopy bed that appeals to me as much as that in the Bunny bedroom, I did manage to scare up some other examples that, while varying in degrees of frill and formality, are all beautiful in their own ways. Some are quite architectural in shape while others look noble in their formal fabric swags and curtains. And maybe one of these days, a canopy bed may just find itself in my own bedroom. In the meantime, it's always fun to dream. In the country house of Spanish designer Paco Munoz, two 19th c. Spanish beds are dressed in a Bennison fabric. The two beds above can be found at Skogaholm manor, Sweden. 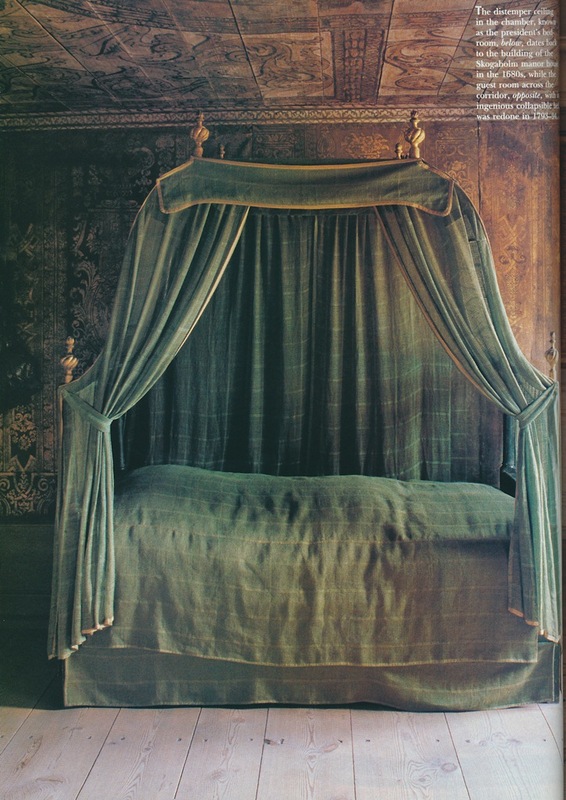 The metal bed was designed to be collapsible. 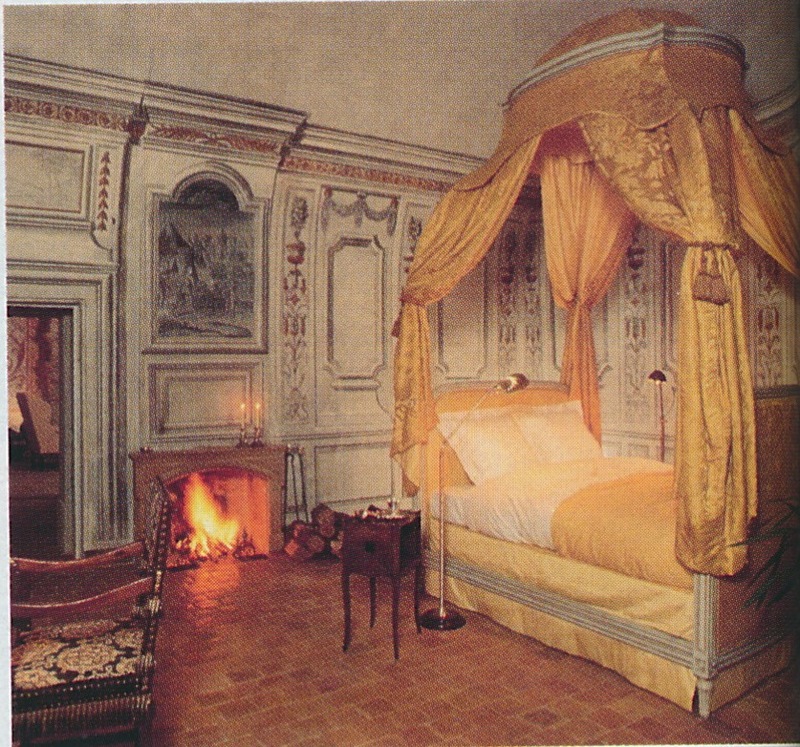 An elaborate canopied bed at Château de Bagnols, Bagnols, France. Yet another Swedish canopied bed, this one residing in a manor house near Uppsala, Sweden. 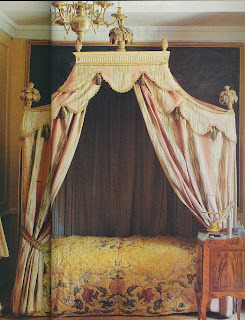 The Gustavian tester bed is topped with baroque finials and boasts a c. 1750 silk-embroidered spread. 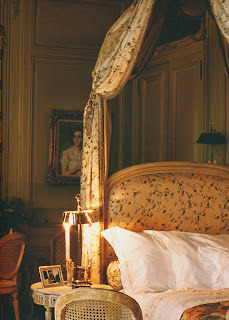 A charming bed canopy in a house on the Esplanade des Invalides, Paris. 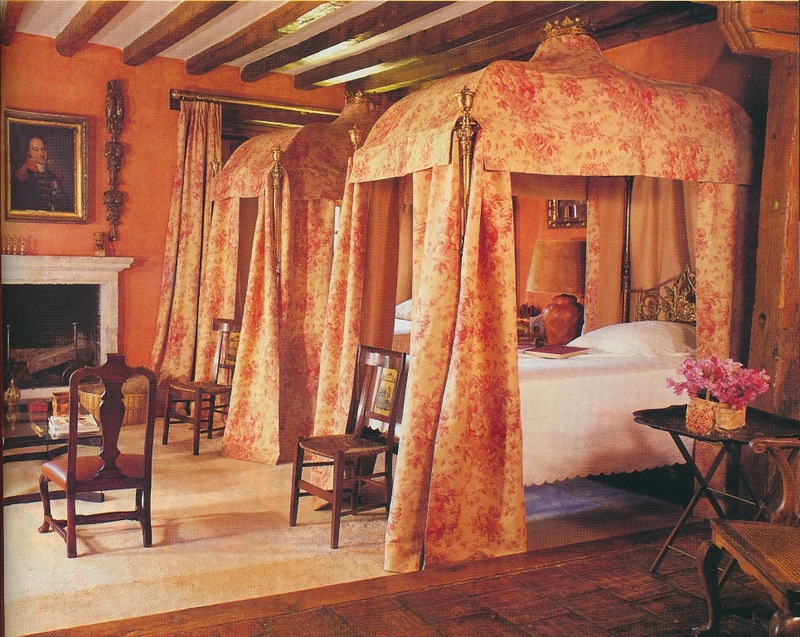 A bed and bedroom covered in a Chinoiserie print chintz. This room is also located in, no surprise, Paris. Givenchy photo from The Givenchy Style by Francoise Mohrt; photos #2-6 from House & Garden, 1985 and 1992. #7-8 from The Finest Houses Of Paris. 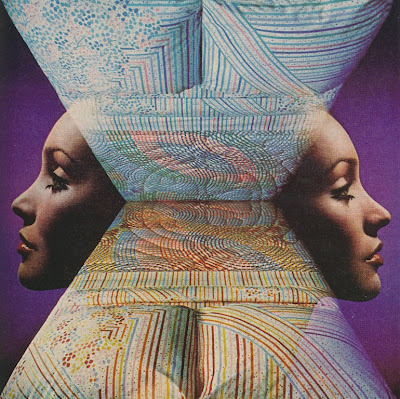 A while back, a reader requested that I feature the work of French designer François Catroux. 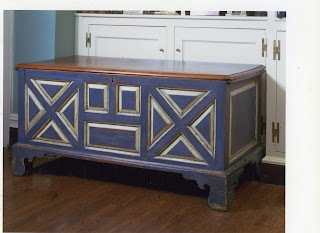 Catroux, of course, is a "big name" designer, but photos of his work are not always easy to find. 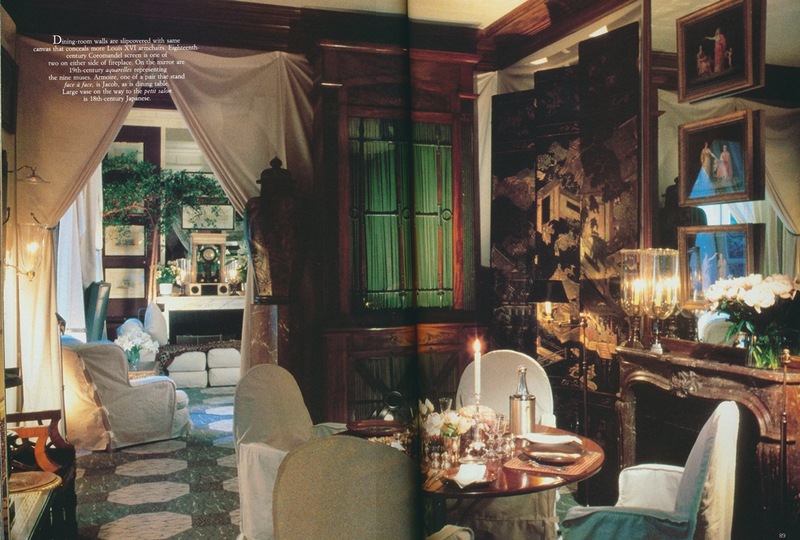 While looking through the August 1984 issue of House & Garden over the weekend, I stumbled upon an article about his Paris apartment, located in the Left Bank's quartier de l'Odéon. 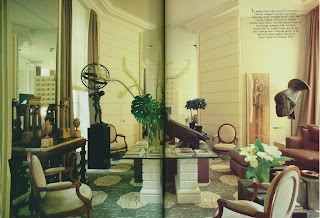 It's so interesting to see photos of his home close to thirty years after it was published because so much of the interiors look stylish still today. According to the article, Catroux had coveted this apartment for some time. The quartier de l'Odéon is filled with residences that cannot be altered because of their historical heritage, but this particular ground-floor apartment did not come with such restrictions. With a free hand to renovate and decorate the home, Catroux decided to devote his home to what the article referred to as an "abstract" form of classicism. As Catroux said, "After all, what is classicism but that which remains forever modern?" As such, Catroux used a building material known as staff, a combination of mixed plaster and fiber, to create cornices, Doric columns, and rusticated wall finishes that, although essentially pastiche, give the home a classical flavor. 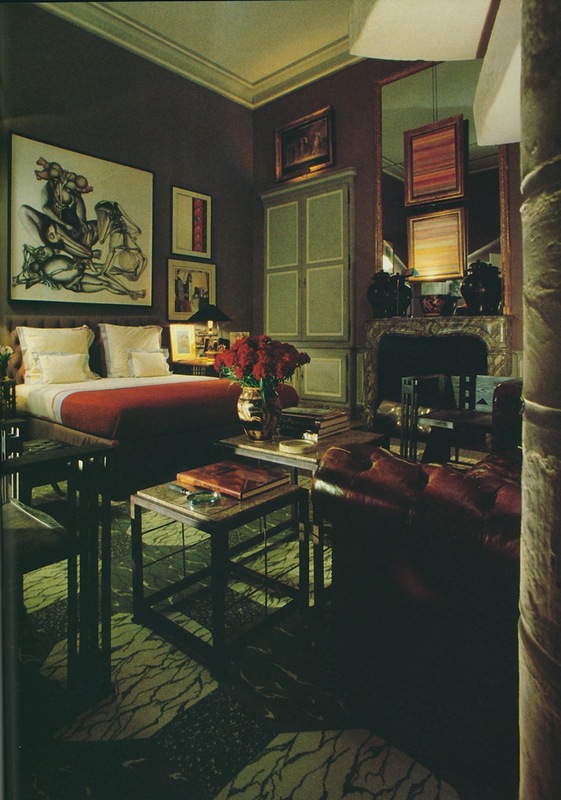 A recent WSJ article showed photos of the Catroux Paris apartment that look quite different from what you see here. Whether they live in the same apartment as seen here or not, I do not know. 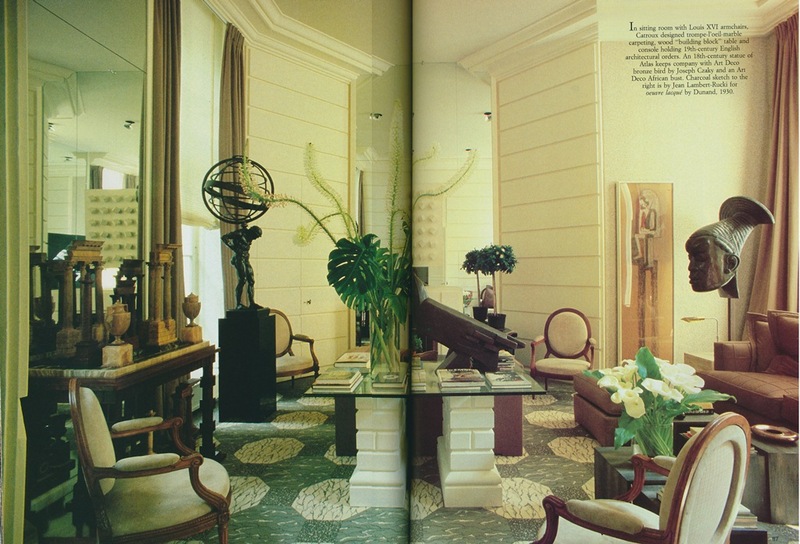 Regardless, I think these photos prove that classic design and, yes, classicism, remain timeless. And to the reader who requested this Catroux post, I hope that you haven't yet seen these photos before! 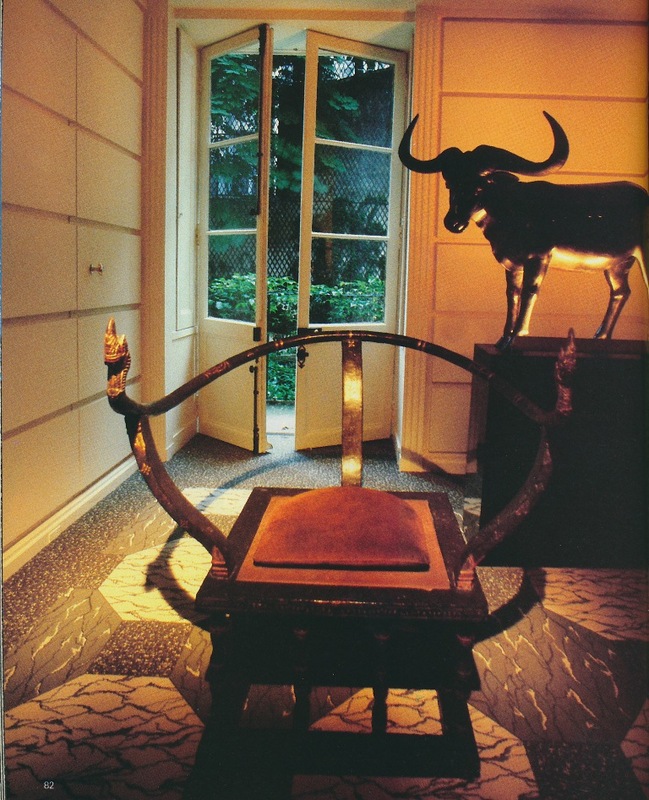 Image at top: An Indonesian throne and bull funerary sculpture greeted visitors in the apartment's entrance hall. 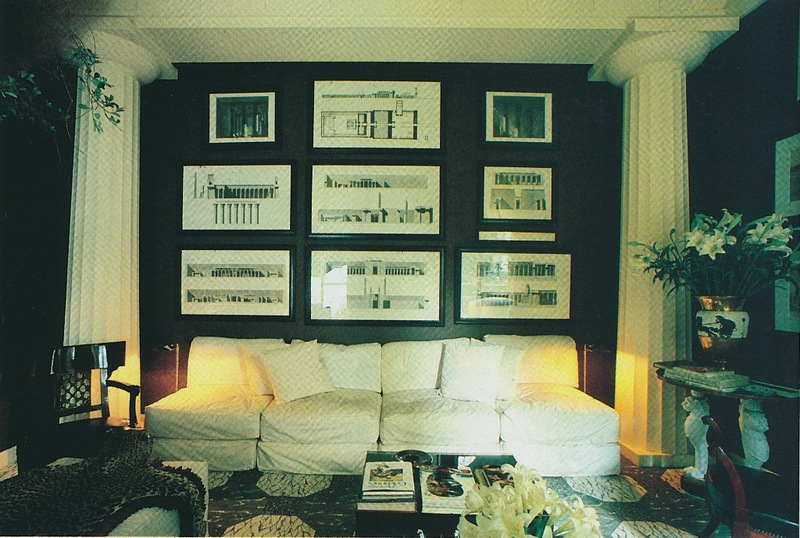 The petit salon with Doric columns made of staff and architectural plans hung on the wall. 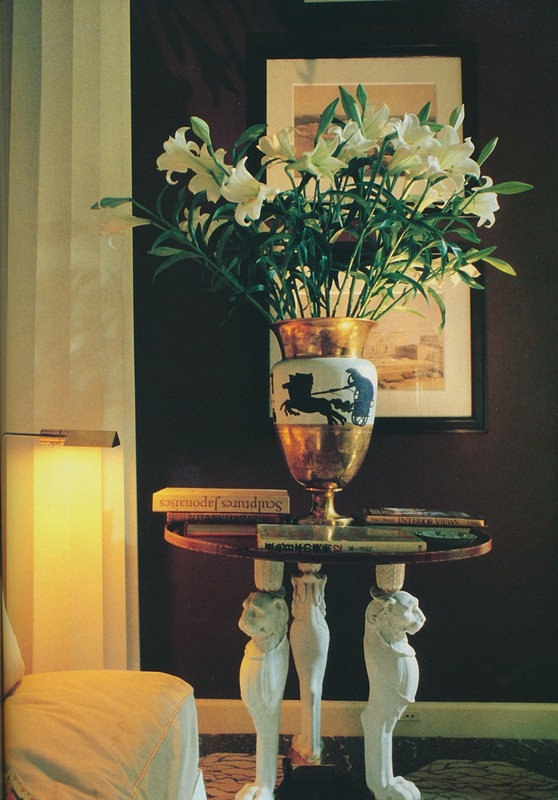 A Sèvres vase stands on top of a Directoire table supported by Sèvres biscuit lion and paw legs. The sitting room. Here, a statue of Atlas and 19th c. English architectural orders mingle with Art Deco sculpture. 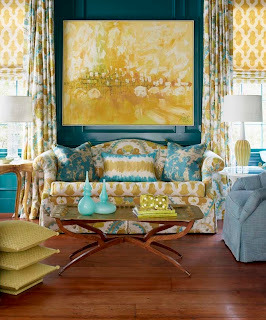 The luxurious dining room is kept from looking too rich thanks to canvas slipcovers and curtains. The master bedroom. To the right you'll notice a concrete support for the spiral staircase, a design borrowed from those used in parking lots. 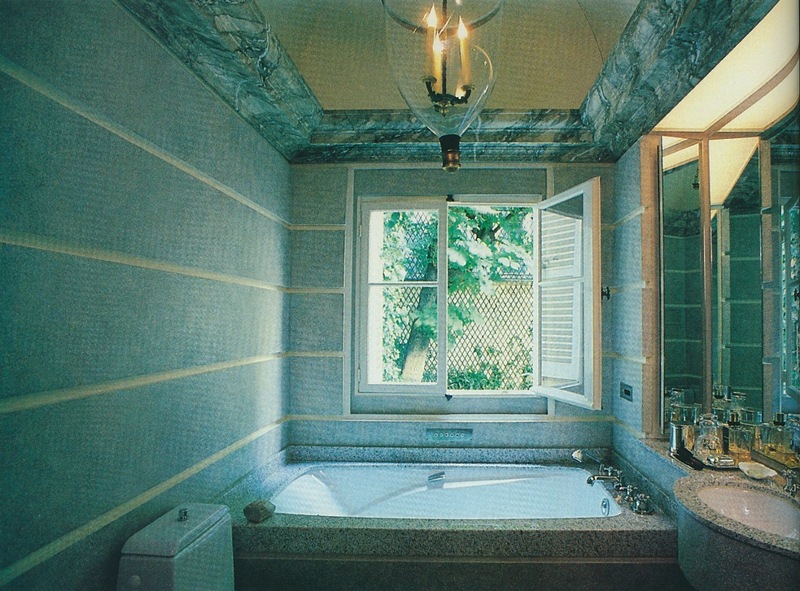 The bathroom with faux-marbre moldings and embossed walls. Every room of the home looks out onto the tranquil garden. All photos and quotations from House & Garden, August 1984; article author Christina de Liagre and photographer Michael Boys. Although I have no plans to celebrate Valentine's Day this year (oh well! ), I know that many of you do. It's funny how much this holiday has changed over the years. When I was a child, the holiday was typically celebrated by children at classroom parties featuring candy hearts and Red Hots (which I have never liked) as well as those old-fashioned little Valentine's cards (which I still think are cute.) 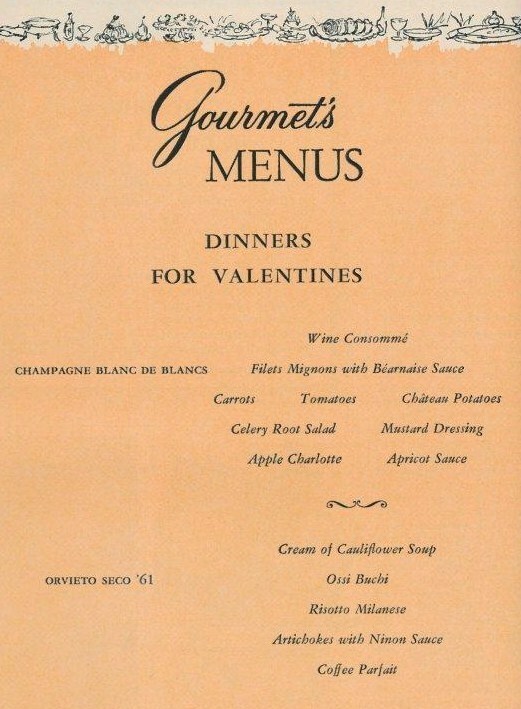 Adults tended to keep the Valentine's fanfare to a minimum with perhaps a nice dinner or a box of chocolates. But, times have changed. I remember when I was 22 years old and working at my first job. That Valentine's Day, I planned to give my then-boyfriend a CD, something I considered to be a thoughtful gesture. Evidently, some of my female co-workers didn't feel the same way because when I told them about the gift, you could hear crickets. They looked at me in disbelief. That was because, as I later found out, they had bought their significant others many gifts. Things like sterling silver tokens, clothes, trips to heaven knows where. Even then, I thought that was kind of overkill. 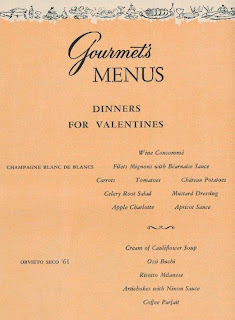 Well, no matter how you plan to celebrate the day, perhaps you might be enticed, or at least intrigued by, this Gourmet magazine Valentine's Day feature from 1965. The editors listed not one but two menus that would appeal to both female and male cooks. 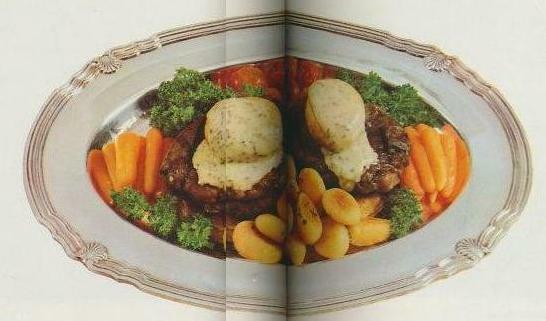 The lady's menu was for a diner intime that was refined and elegant, one that included Filets Mignons with Béarnaise Sauce ("For her exquisite touch, the delicately sauced filets mignons") as well as Château Potatoes. 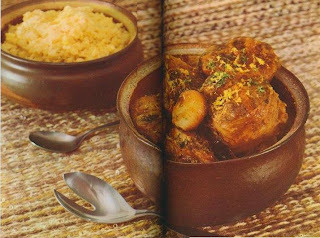 The masculine menu included heartier fare like Ossi Buchi ("For his masculine talents, the more substantial ossi buchi") and Risotto Milanese. I have included a few recipes below, just in case you want to try your hand at it. And no matter how you spend the day, Happy Valentine's Day to you all! Bring to a boil 4 cups beef consommé and stir in 1 cup dry red wine, salt and pepper to taste, and a dash of lemon juice. Serve the soup hot, garnished with small croutons of toast lightly sprinkled with paprika. 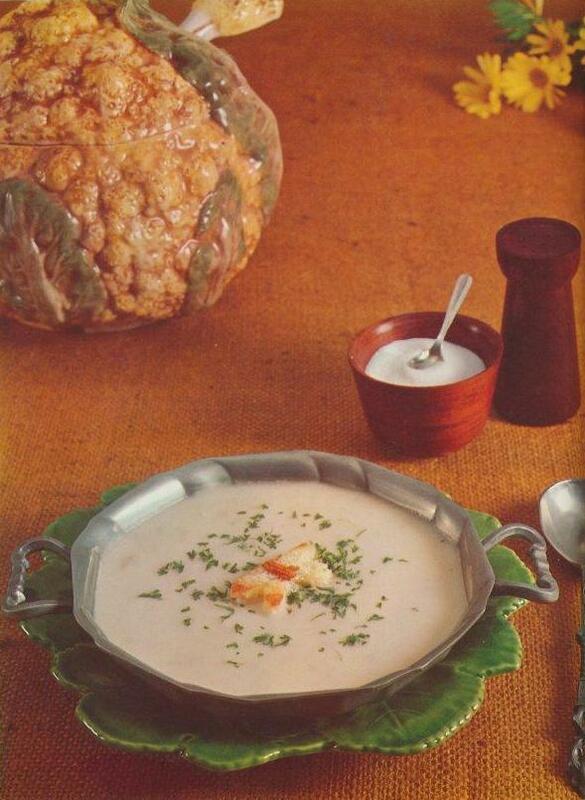 Mix thoroughly 5 tablespoons peanut oil and 2 tablespoons vinegar and add 1 shallot, finely chopped, 1 hard-cooked egg, sieved, 1 tablespoon each of prepared mustard and mixed minced parsley and chives, and salt and pepper to taste. 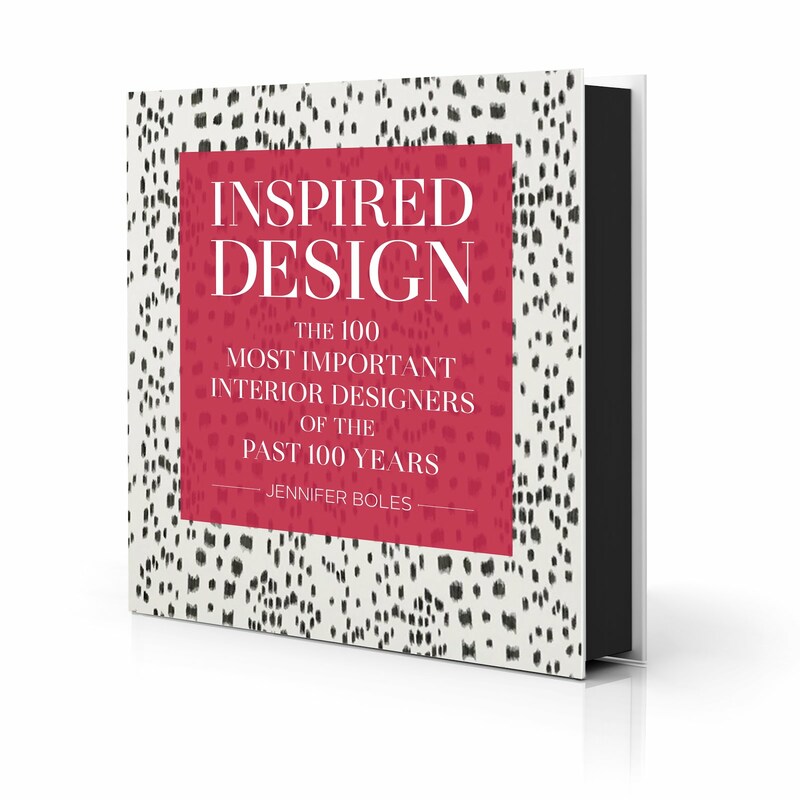 Spring usually heralds a slew of design-related events and decorators showhouses, and there is one upcoming event in which I think many of you will be most interested. The 16th annual Charleston Art & Antiques Forum will take place in, yes, Charleston from March 13-17. 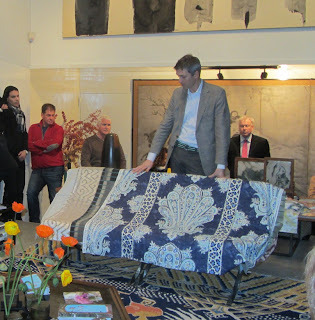 The event is one of this country's premier fine and decorative arts forums, always boasting a stellar line-up of art experts and historians. This year's event is no exception. 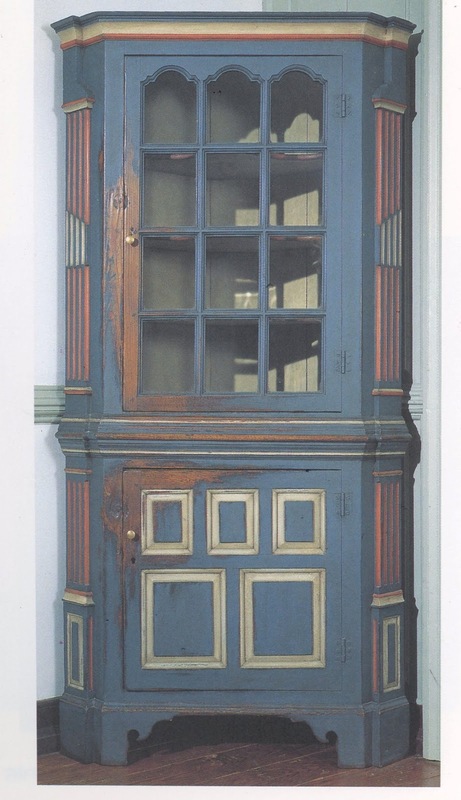 With its theme of "A Grand Tour: Trade Winds of Influence", the forum will explore how the grand tour of the 17th, 18th, and 19th centuries influenced the decorative arts of both Europe and America. Dame Rosalind Savill, Director Emeritus of the Wallace Collection in London, will be this year's keynote speaker, and her lecture is titled, "Twenty Years with French Decorative Arts". (This lecture should be especially interesting to those Francophiles.) Other speakers include experts from such august organizations as Winterthur, Colonial Williamsburg Foundation, Philadelphia Museum of Art, and the Museum of Early Southern Decorative Arts. 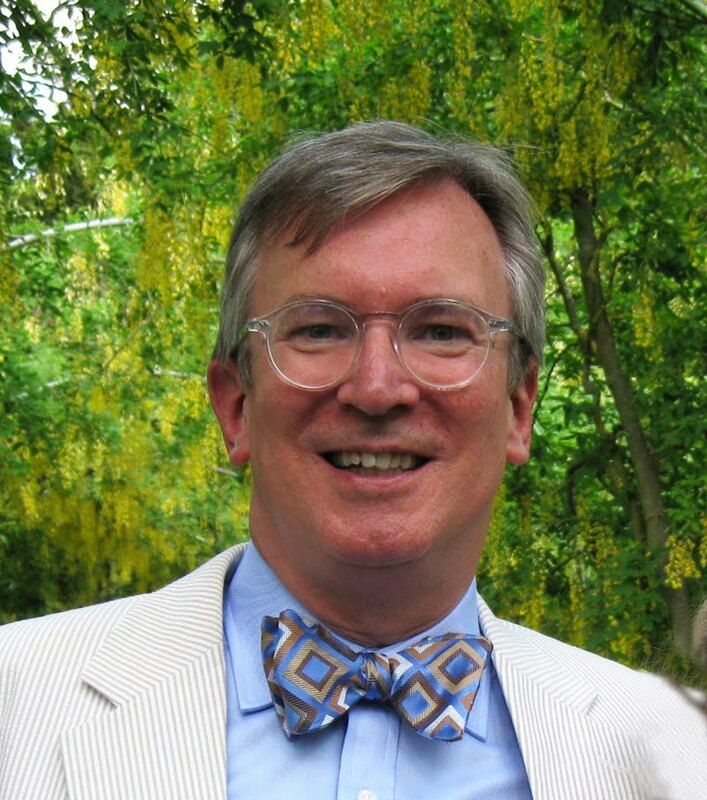 The bonus to the event is that J. Thomas Savage, Director of Museum Affairs at Winterthur, will be hosting and moderating the forum. Those of you who know Tom- and I know that's quite a few of you- are familiar with his charm and ebullience, both of which guarantee an interesting time! While all of the lectures look intriguing, there are three in particular that I think many of you will find inviting. 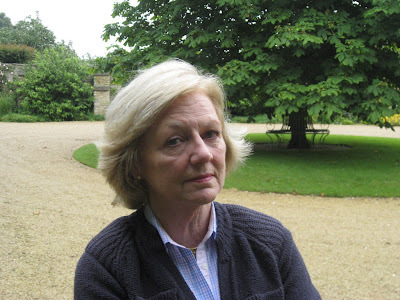 Fiona Heyward of Oxford, England will speak on "Life at Haseley Court and Its Gardens: The Legacy of Nancy Lancaster". 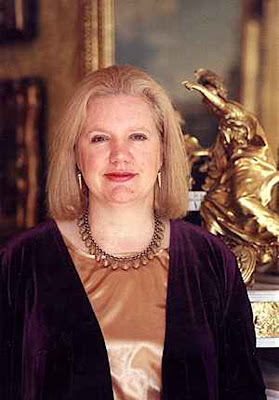 Heyward is certainly qualified to lecture on Haseley Court considering that she and her husband are the current owners of this magnificent house, once the home of the great designer, Nancy Lancaster. For some time, Fiona and her family lived across the courtyard from Lancaster, who spent her final years residing in the Coach House of Haseley Court. 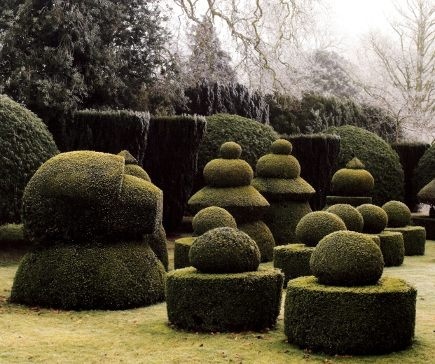 The Chess topiary garden at Haseley Court. According to Fiona, it was planted in 1850 and transformed into its present design at the turn of last century. Fiona kindly answered a few of my questions about life and gardening at Haseley Court, both of which I can only assume are magical. Fiona has fond memories of Lancaster, who, according to the homeowner, never interfered nor criticized any changes made to the house or gardens under the new owners. 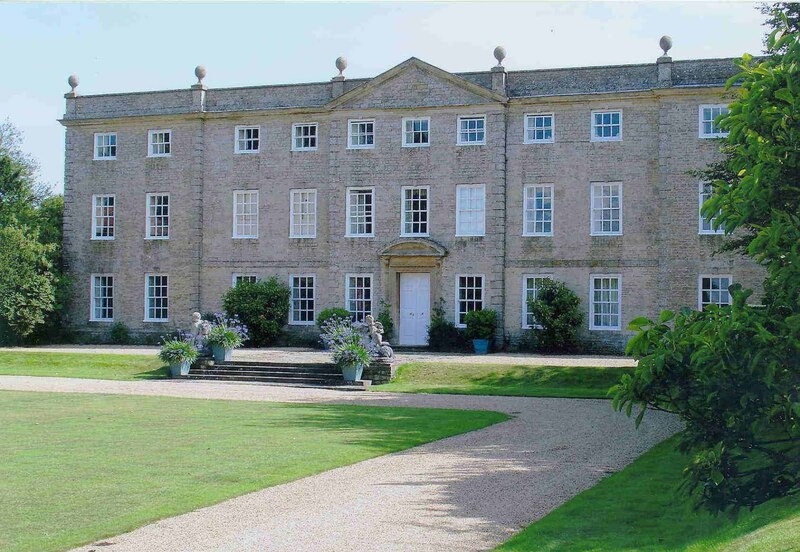 (Fiona noted that much of Lancaster's work on the house's interiors had already been dismantled by previous owners, with the Chapel Room and Tobacco Room remaining intact.) The gardens, it seems, are just as beloved to Fiona as they were to Lancaster. Although the garden's layout remains the same, Fiona has tweaked plantings just a bit. 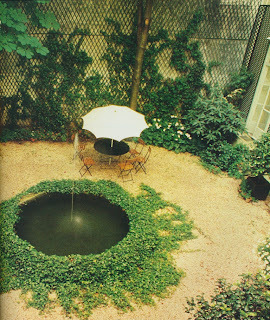 And in what can only be described as music to a gardener's ears, Lancaster's gardening advice to Fiona still guides her today: a garden needs both formal and informal plantings and should not look too immaculate! There were other interesting tidbits that I gleaned from Fiona, but I don't want give away her entire talk. I think that Fiona's lecture will be one not to miss! 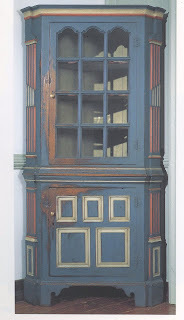 Eastern Shore corner cupboard showing a complementary color combination of orange and blue. 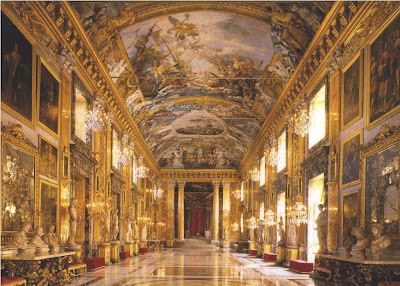 Then there is Count Stefano Aluffi-Pentini, who will be speaking about on Italian palaces like Palazzo Colonna, seen below. Is that image stunning or what? So you see, you'll learn about English great houses and gardens, French decorative arts, Italian palaces, Southern furniture, and more. I can't imagine a more interesting forum! 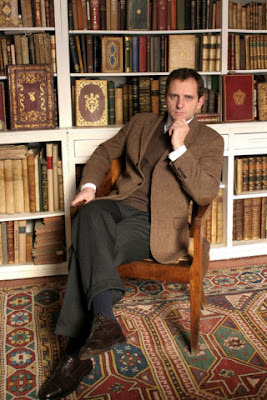 Count Stefano Aluffi-Pentini, photographed in his library. 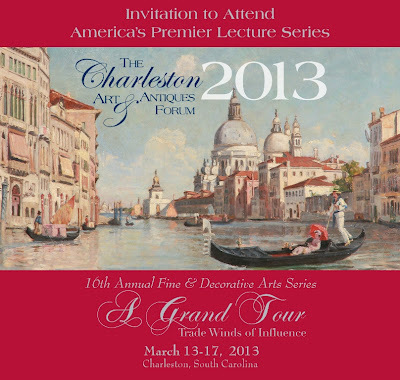 For more information on this event, or to purchase tickets, please visit the Charleston Art & Antiques Forum website. I hope to be able to tear myself away from work to attend, so perhaps I'll see you there. 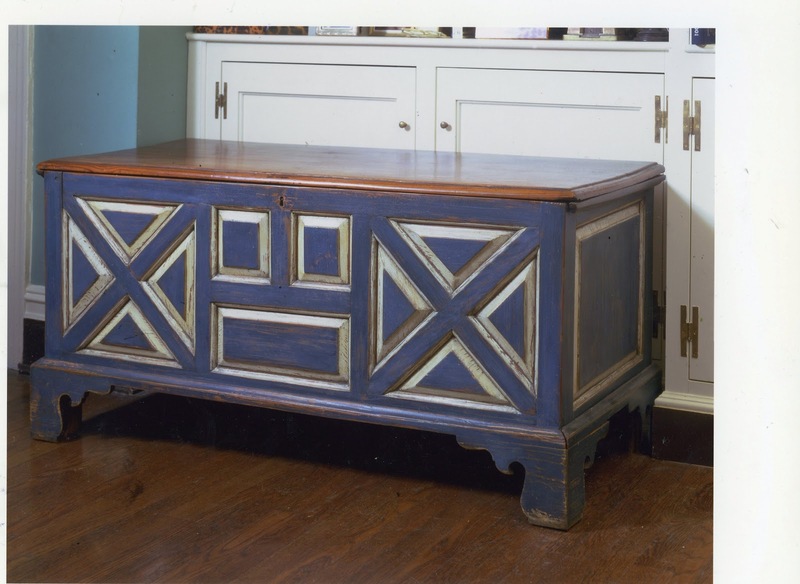 All images used with permission of The Charleston Art & Antiques Forum. I realize that to some people, plain white sheets are the only aesthetically acceptable sheets to place on one's bed. Not so for me. 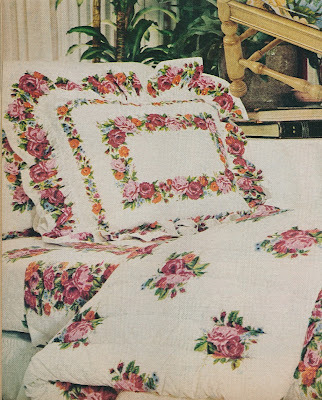 While I do, of course, have some white sheets, I prefer bedding with a discreet floral or feminine print. It just seems so boring to turn down the covers, only to have plain white cotton greet me. Pink Porthault hearts, on the other hand, make my heart go pitter-patter. 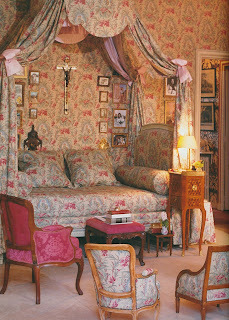 While I have a weakness for Porthault printed sheets, I also like some of the prints available through Schweitzer Linen. 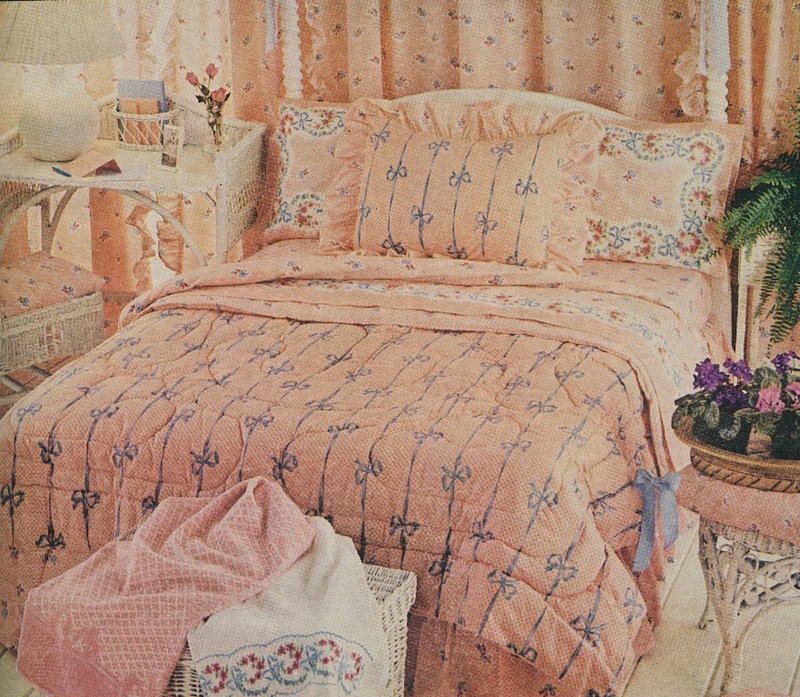 Not only are their patterns feminine and sweet, but their bedding is quite affordable too. And although I don't own any bedding from the Lulu DK for Matouk collection, I do really like the upbeat designs that Lulu has created. If you have never before considered patterned sheets, perhaps now is the time for you to take a look at some bedding with personality. It wasn't too long ago when patterned sheets were all the rage. 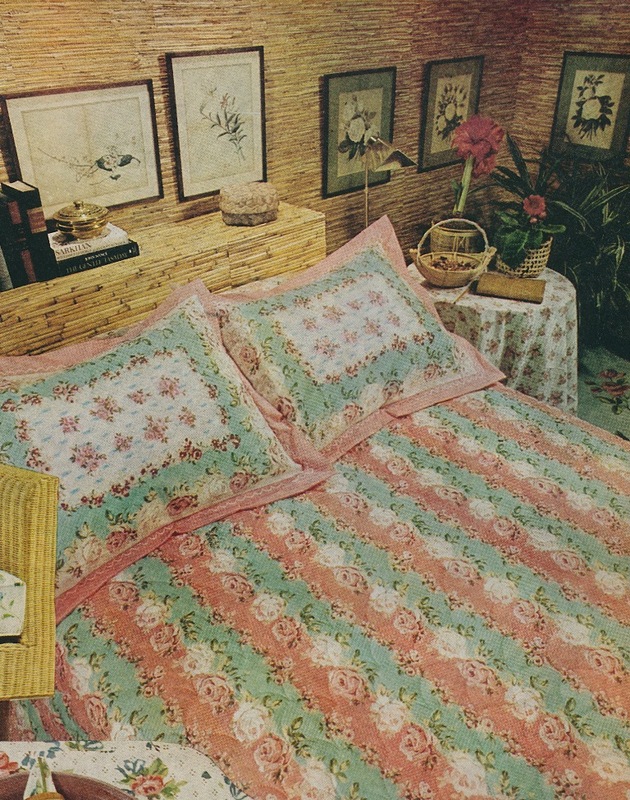 During the 1960s and 1970s, many fashion and interior designers boasted bedding collections, a popular form of branding (did they call it branding back then?) during the early days of product licensing. As you might expect, the prints were often evocative of their era: colorful, exuberant, busy, and wild. David Hicks, you might remember, had a bedding collection as did Bill Blass. 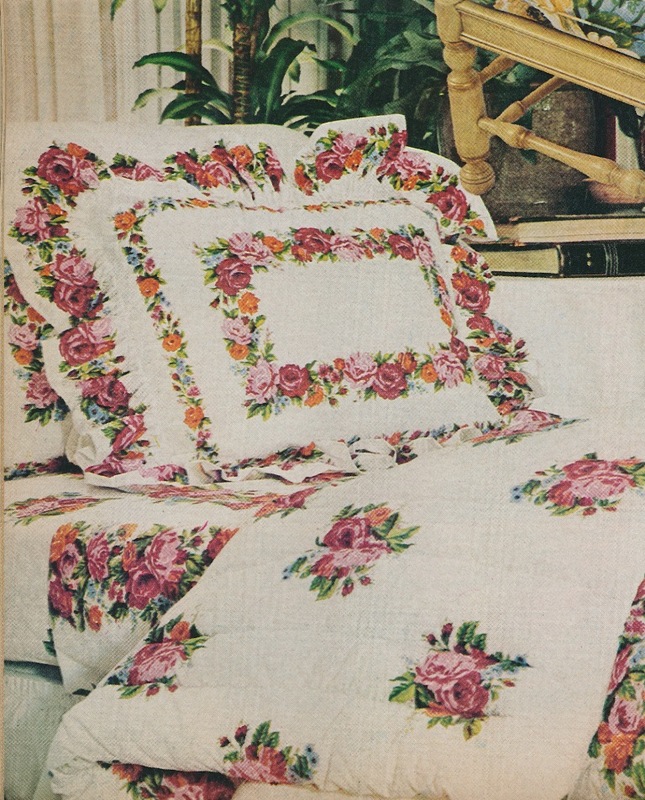 Some of these designer bedding collections look pretty atrocious, at least to twenty-first-century eyes. 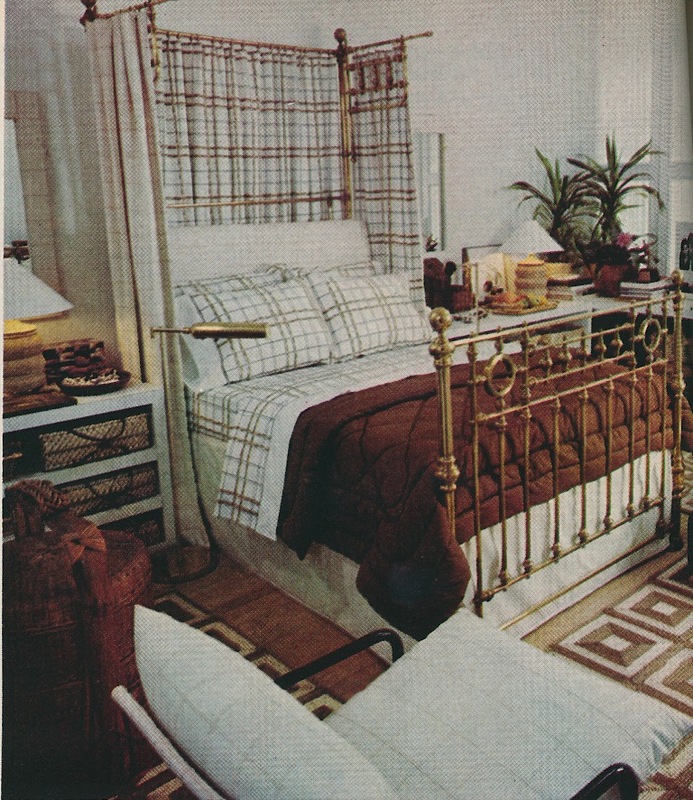 And what makes this bedding seem even more dated is that it was usually photographed alongside other interior fashions of the day that, like the bedding, hasn't held up very well. It wasn't hard for me to find photos of designer sheets as my vintage magazines were chock full of editorial features and ads touting these collections. I think that if you take a look below, you might be surprised at some of the prints that these designers churned out, although I do wonder just how involved some of them were in their bedding collections. 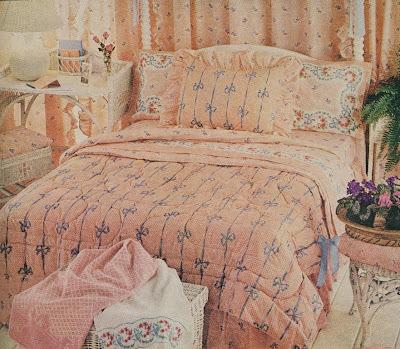 All I can say is thank goodness that we now have more demure and classic looking printed sheets than what you see below. And although I don't care for Mr. Blass's sheets, I do think that he redeemed himself with his 1979 edition of the Lincoln Continental Mark V. That was such a fabulous car that I wouldn't mind driving one today! 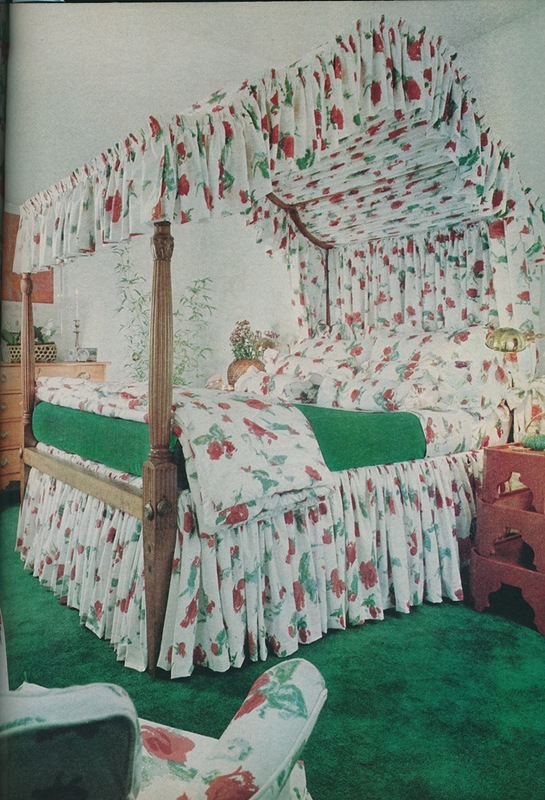 David Hicks's collection for Stevens-Utica might be one of the better designer bedding collections. 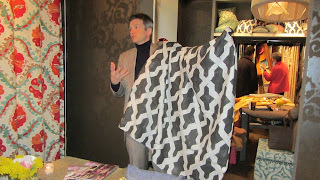 In fact, it doesn't look terribly different from his fabrics. 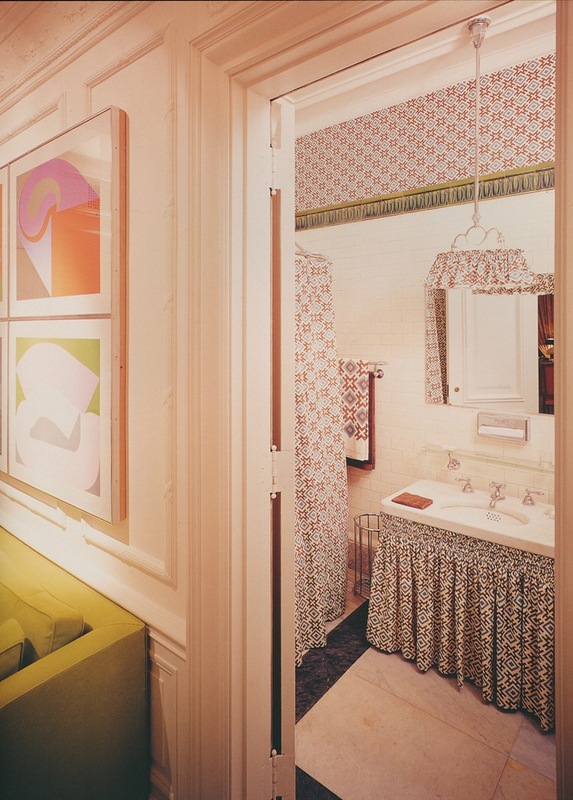 The bathroom of the David Hicks Suite at the St. Regis Hotel in New York featured his H-logo sheets used as shower curtains, a basin skirt, and a lamp shade. 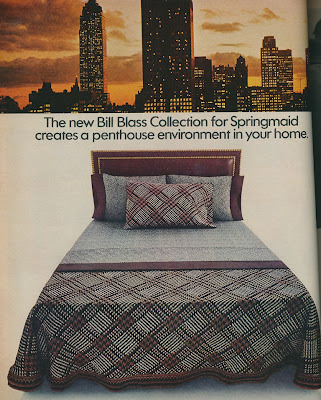 Bill Blass designed sheets for Springmaid. 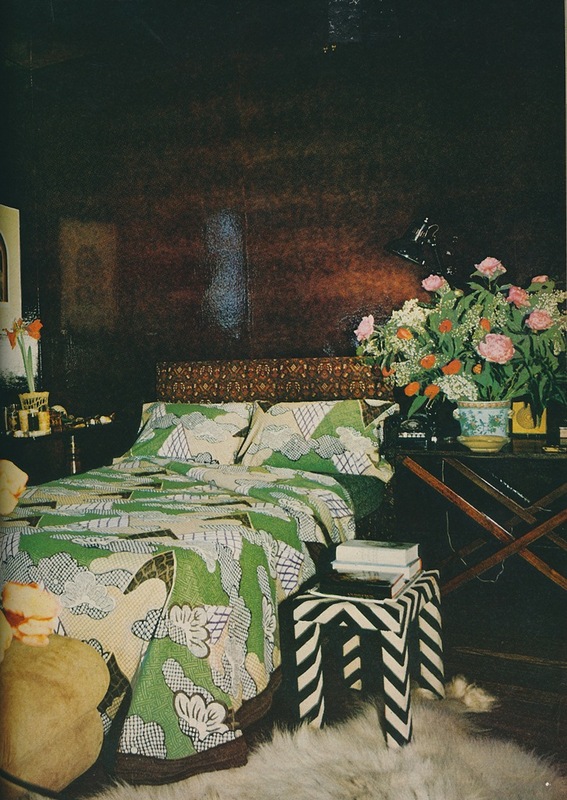 Those exotic printed sheets, photographed in Blass's bedroom, were named "Nemuri". Perhaps more representative of Blass's masculine style is the brown and gray plaid sheeting that "creates a penthouse environment in your home." 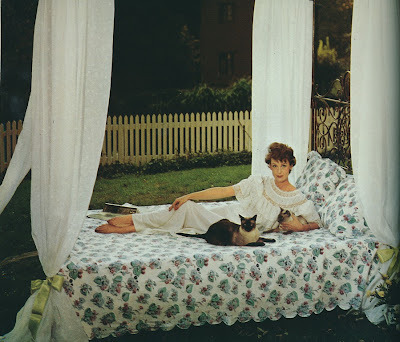 Just as Blass had his bedding collection, so too did Oscar de la Renta, though Cannon Mills produced his line. 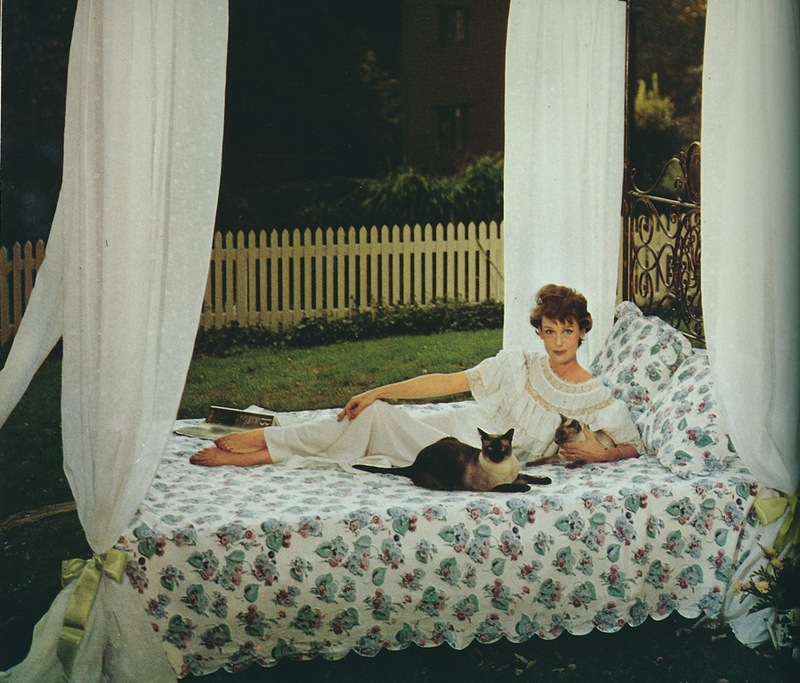 For one of the Oscar de la Renta-Cannon ads, the designer wrote, "My designs are for the woman who believes her bed and bath should be as well-dressed as she is." 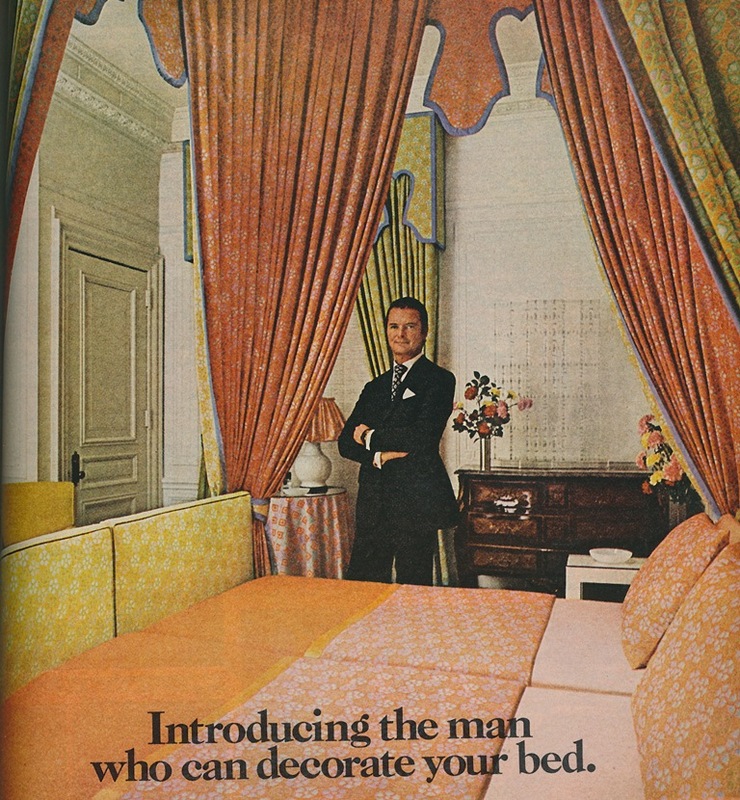 His sheets might look rather dated today, but I think that they might have been kind of chic back in the mid-1970s. Missoni's sheeting collection doesn't look far removed from their classic clothing prints. 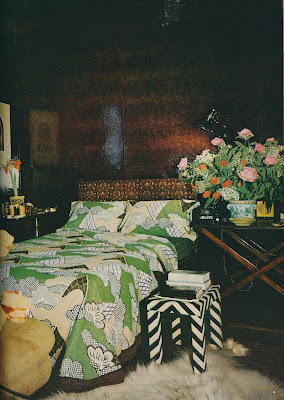 The problem with this bedding collection by Halston (yes, Halston) is that there are too many frills on this bed. 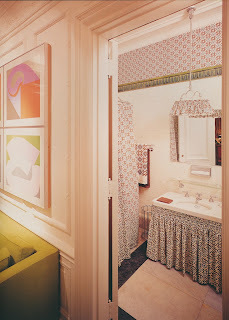 Halston's rose pattern was, according to the modest designer, "the prettiest rose pattern that anyone's ever done." I'm not sure about that, but I do find that the pattern was inspired by some Joe Eula paintings to be interesting. I believe that this print also appeared on some of Halston's dresses. Would you be surprised to learn that these "Rose Elegance" sheets were designed by Yves Saint Laurent? I was, but I really wonder how much of a hand he had in this collection. 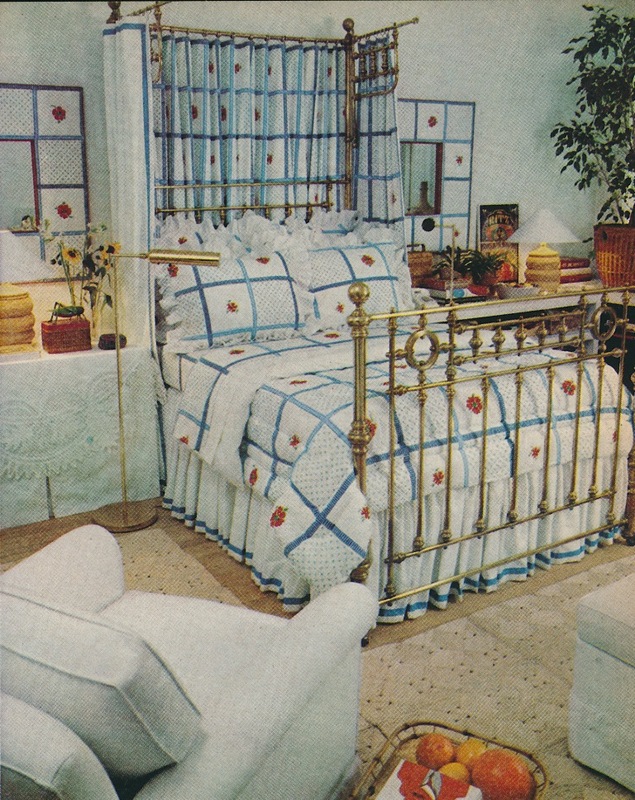 Both of these bedding sets were designed by Angelo Donghia and were photographed in Rita Moreno's bedroom. The plaid version is really not bad. 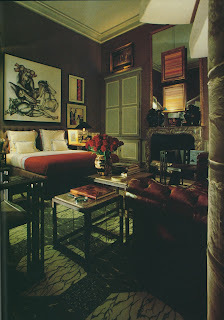 In fact, I might say that Donghia did one of the better designer bedding collections. Slim Aarons photo at top from A Wonderful Time: An Intimate Portrait of the Good Life; David Hicks/ St. Regis photo from David Hicks: Designer by Ashley Hicks. 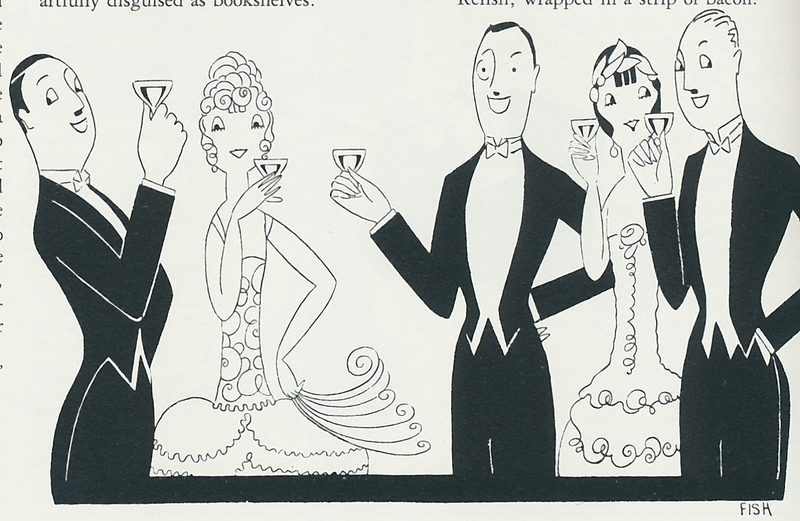 I was flipping through my copy of The Twenties in Vogue the other day, and I was reminded of how much I enjoy the book. (The Thirties in Vogue is also quite good.) It's fun to pore over the old photos of socialites wearing chic fashion as well as to read about the hijinks, the frivolity, and the trends of the day. 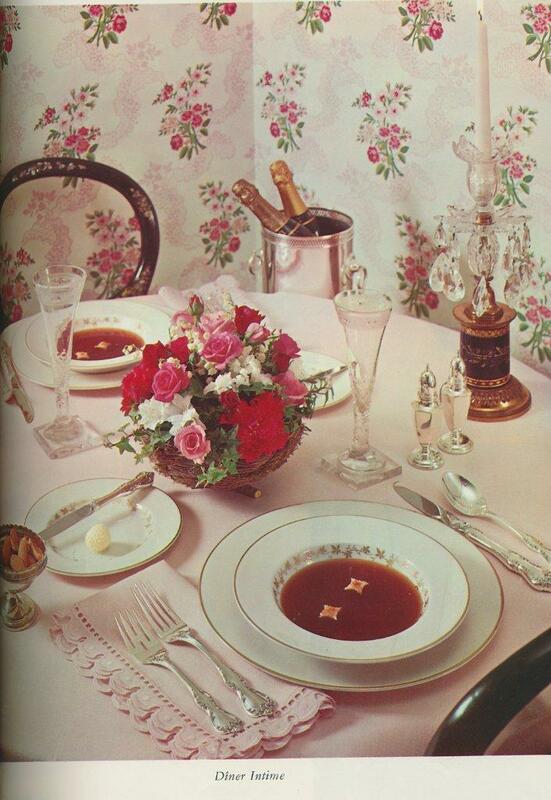 One of my favorite sections of the book is that which covers the food and cocktail crazes of the era. Back in the 1920s, of course, most people were cocktail mad, drinking such libations as the Corpse Reviver, the Between the Sheets, and, of all the crazy names, the Bosom Caresser. At least, this was what Vogue was reporting at the time. And canapes were also starting to come into fashion, something that was also, evidently, covered by the magazine in great detail. A canape that got an honorable mention in Vogue was one served at Somerset Maugham's home on the Riviera. 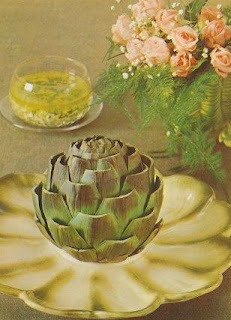 His canape consisted of "a green olive stuffed with a nut dipped into Gentlemen's Relish, wrapped in a strip of bacon." That sounds tasty to me, but finding Gentlemen's Relish in Atlanta isn't the easiest endeavor. 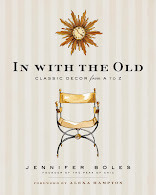 Of the five or six cocktail recipes that appear in this book, one in particular caught my eye: Lady Mendl's Invention. 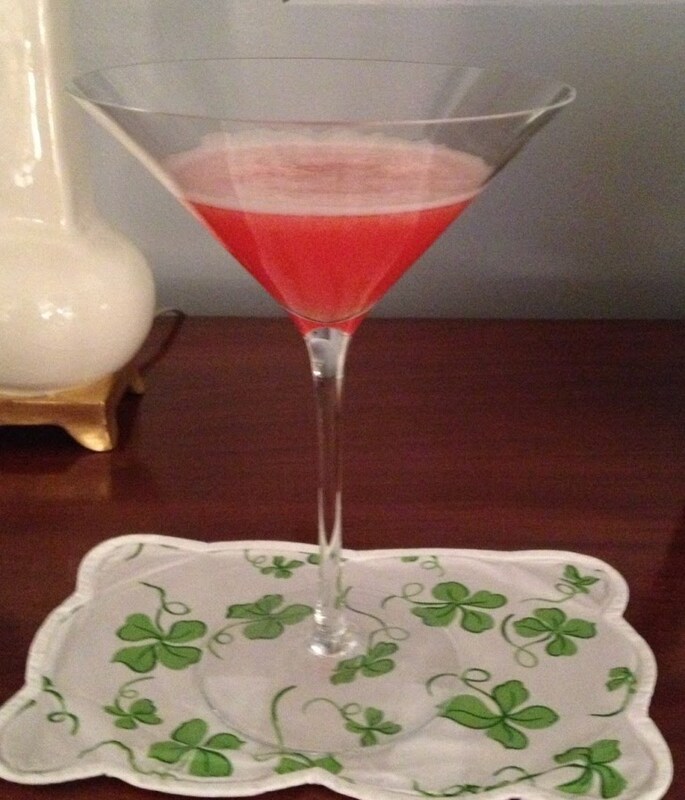 The book fails to mention the origin of this recipe, but a Google search identified this cocktail by another name, Pink Lady. Did Elsie de Wolfe invent this cocktail? Or, did she adopt it as her own? I can't say, but I mixed one up over the weekend to see what the fuss was about. The cocktail isn't really bad, but it did remind me of the pink penicillin I had to take when I was sick with strep throat as a child. If you liked that taste (and I didn't), you might enjoy this cocktail. And if any of you know what exactly Lady Mendl's connection was to this cocktail, do tell! 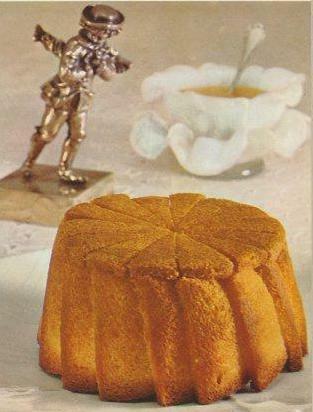 *Recipe is based on a 1 1/2 ounce measure. Shake well with broken ice and serve while frothy. 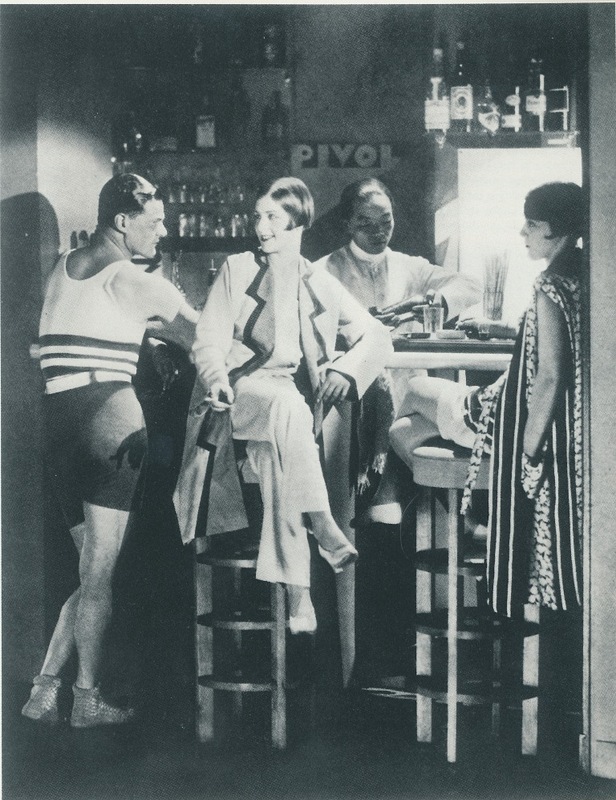 This Hoyningen-Huene photo shows the Cubist bar that was designed for home of the Vicomte de Noailles, c. 1928. How dashing was that? Recently, I got a peek at the new No. 9 Thompson Grand Vizier collection while the fabric was being photographed for their "official" portraits. 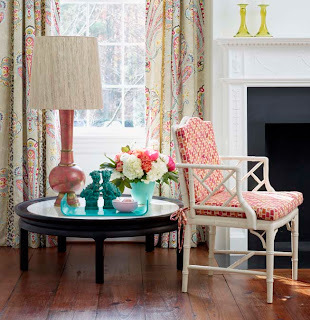 All of the fabric looked snappy yet soft and eye-catching without being eye-popping. 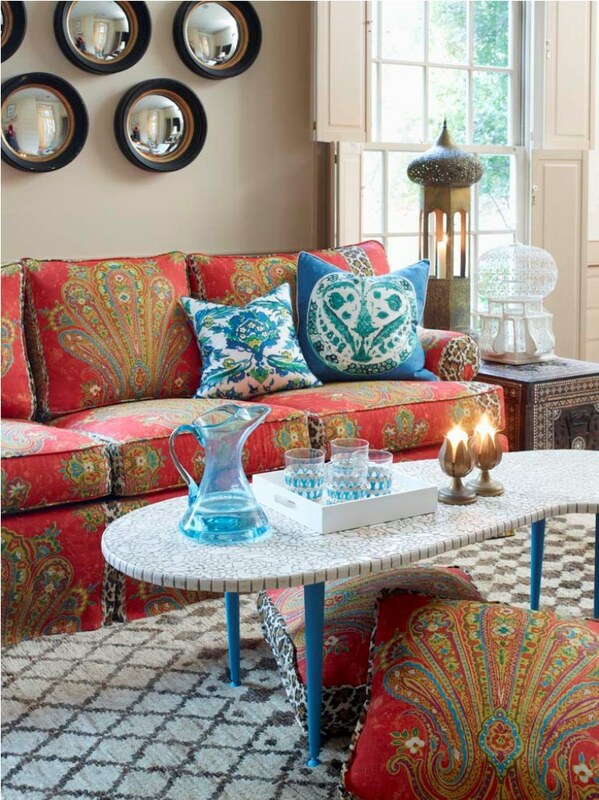 One print in particular stood out to me: Grand Paisley. The splashy print features exuberantly sized paisley framed by bands of leopard print. That combination might sound unusual at first, but it's really not. In fact, Grand Paisley reminds me of some of those great old prints like Brunschwig & Fils' Chinese Leopard Toile in which leopard print is combined with an unexpected pattern to create a very striking fabric. 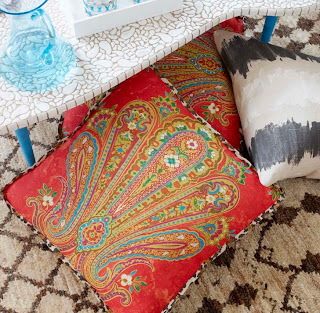 Grand Paisley comes in a red colorway that is rather bold and daring. I could see using the red version in a small nighttime room like a study or library where it could be used for curtains, upholstery, and, perhaps, on the walls, too. For those more inclined to live with softer or more neutral colors, the print does come in other colorways including a pretty blue version. 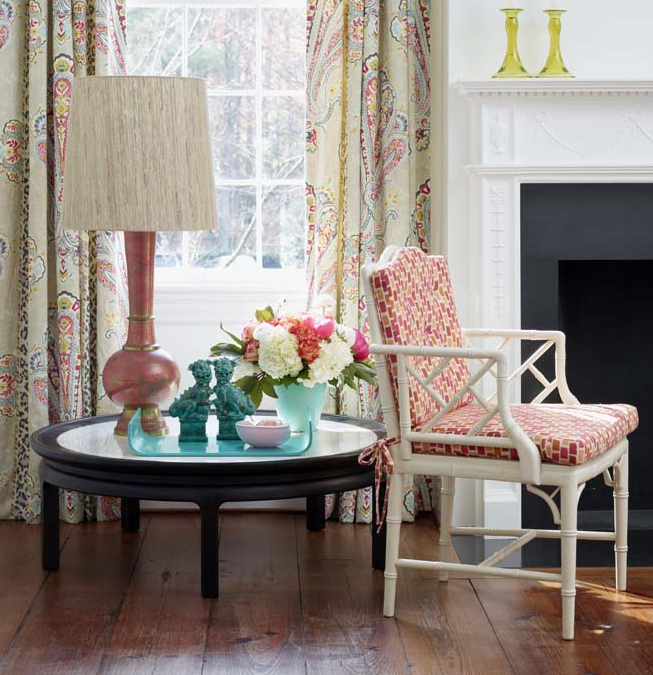 In addition to Grand Paisley, there are many other prints in the collection that were recently introduced at Paris Deco Off. 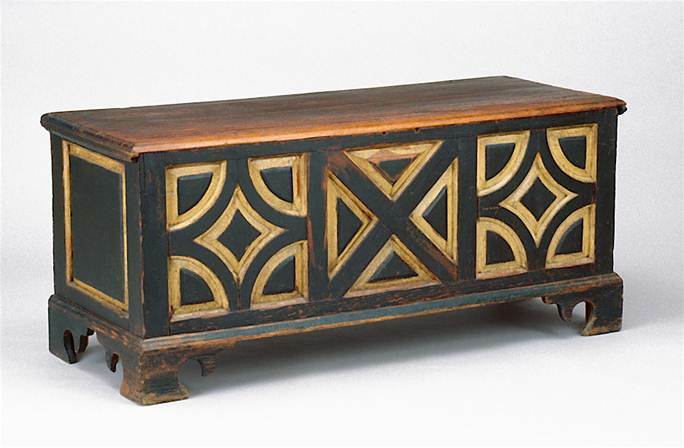 Take a look below to see the range of the collection, or visit the Jim Thompson/No. 9 Thompson website. Fabrics in photo at top: Sofa and curtains, Papave; Roman shades and sofa cushion, Agiasos; rectangular pillow, Zabadani; pillows, Tea Party; Chair, Plain Rong; Ottoman, Topkapi. Sofa in Grand Paisley. No. 9 Thompson's Design Director, Richard Smith, was inspired to create Grand Paisley after finding a small document of a paisley fabric that lined an old Uzbekistani robe. Smith blew up the scale of the paisley, something which makes it seem modern. Pillows covered in Grand Paisley and Zabadani, at right. Curtains in Grand Paisley and chair cushions in Tesserae. No. 9 Thompson's Design Director, Richard Smith, attended Paris Deco Off to present his collection. In the photos above, Smith is seen with Agiasos and Grand Paisley, at the bottom. All photos used with express permission of No. 9 Thompson.